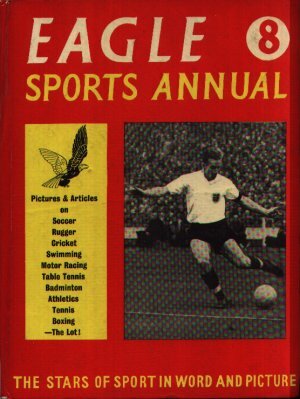 Eagle Sports Annual 8 sees Bobby Charlton shown with a full head of hair, already noted as a fine footballer even before his successes in 1966. Peter Roberts steers us around Brands Hatch, teaching us the right lines to take. Tennis at Wembley? Surely not?